VALHALLA TACTICAL TAKES STANDARD MILITARY CLOTHING, PACKS AND ACCESSORIES AND CUSTOMISES THEM TO BE MORE VERSATILE AND HIGHER QUALITY. THEIR AIM IS TO HELP MAKE SURE THE MILITARY MEN AND WOMEN OF TODAY HAVE THE BEST GEAR TO GET THEM BY. 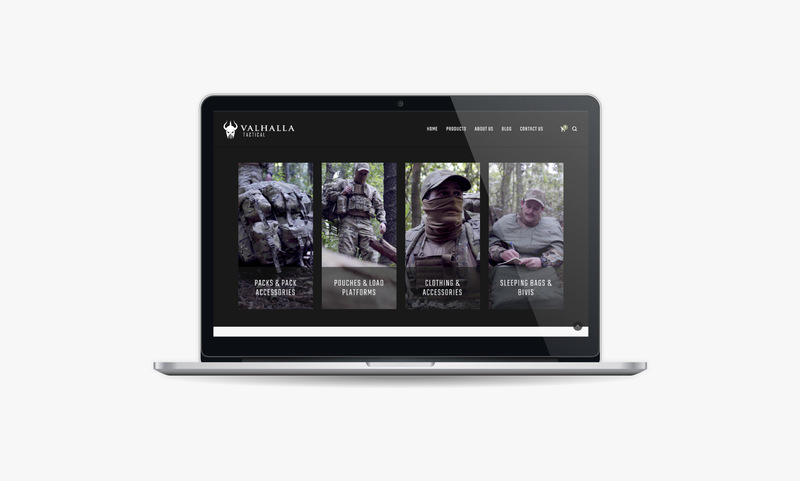 The Valhalla team were in need of a new e-commerce website that would attract the right leads and drive more sales than their current site. 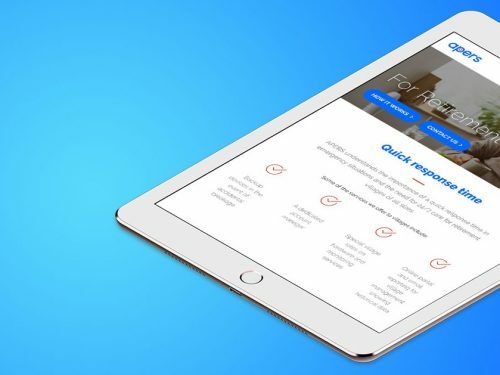 They needed expert functionality and page navigation that would allow their customers to easily find the gear they were after. Building a clean slate WordPress website with WooCommerce functionality was a simple yet satisfying task. We started by restructuring their product categories, cutting them down from 10+ to four, then we integrated a simple search functionality. 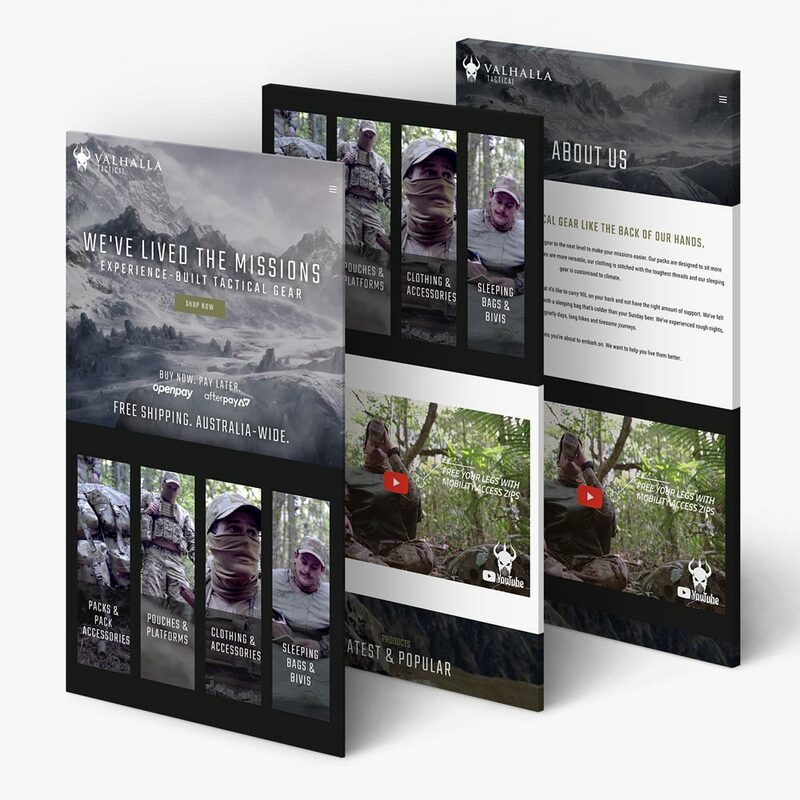 Using the appropriate plugins and extensions, we were able to a create a site that was easy to navigate, making online purchasing a breeze for Valhalla’s customer base. 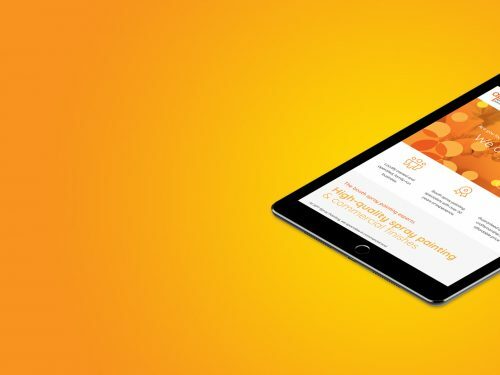 Their website branding and key messaging also underwent a bit of a rejuvenation. The logo for Valhalla had been one that they were using as a brand for some time, however there had been no other brand presence established. 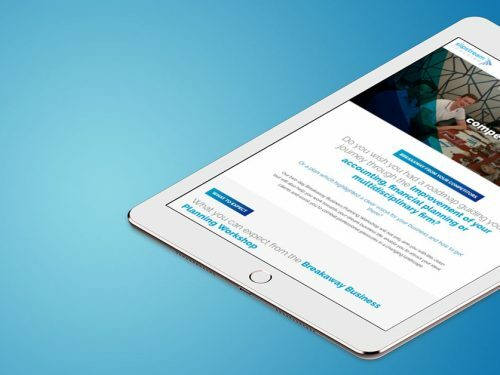 The new website provided an opportunity to really bed down the look of the photography, the secondary colours and the accompanying typography to equip them with a basic style guide for future branded collateral.